Mortgage rates just hit 5 percent: What does that mean for homebuyers and owners? Growing monthly payments are just one of the factors contributing to tougher times for many homebuyers and homeowners. "It has only been in this decade that they have fallen below 5 percent, rates not seen since the 1960s," said David Reiss, an expert in real estate law and professor at the Brooklyn Law School. Psychology aside, there's a real money impact as well. Every increase of 10 basis points, or 0.1 percentage point, means another $6 per month per $100,000 of mortgage, said Danielle Hale, chief economist for Realtor.com. Growing monthly payments are just one of the factors contributing to tougher times for many buyers. House prices also have been on the increase, and potential homeowners must contend with the loss of the so-called SALT deductions in last year's tax cut legislation, which complicate things in high-tax states. Depending on someone's location and means, the combination pinches wallets. Some people have so much money that it doesn't matter. "In my part of Los Angeles, you can't find anything less than $1.2 million or $1.3 million," Chris Kito of Coldwell Banker told NBC News. "Many of the deals are all cash. You have a lot of parents or grandparents giving the down payment or the whole amount." Further east, the story starts to change. 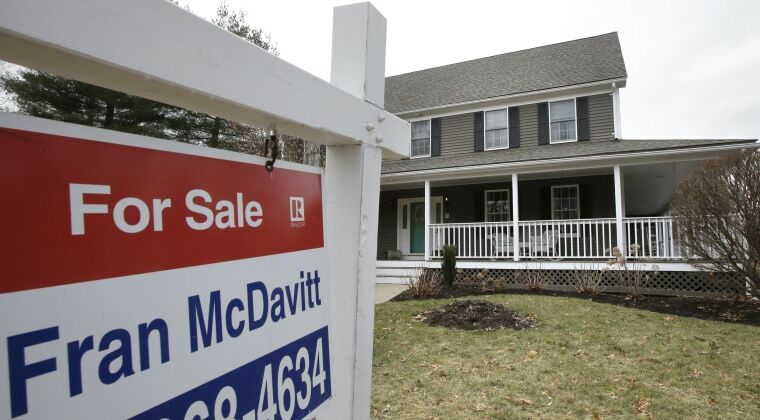 "We’re already seeing people deciding against buying a second or vacation home, and at the same time, people who want to sell their home in these states are finding it increasingly difficult," said Robert Karn, a certified financial planner in Farmington, Connecticut. Then there's low to moderate market. "The affordability issues are probably strongest at the low end because low-end house prices have been rising faster than the high end in many metropolitan areas," said David Payne, staff economist with The Kiplinger Letter. The people who have least will feel the effect first. Current owners with adjustable rate mortgages, or ARMs, have a different issue. A typical example might have a base rate of the one-year Treasury security yield, recently 2.64 percent, plus an additional 2.75 percent. "You add those two together and you get 5.39 percent," said Bankrate.com Chief Financial Analyst Greg McBride. Come the adjustment period and that's what you'd pay. Mortgage officers, like Aaron Morse of Affinity Federal Credit Union, have some advice: "It's not time to panic." Everything depends on your needs, circumstances and the affordability of a house. If you won't be in the home long enough for the adjustment period to arrive, an ARM can run 2 to 2.5 percentage points lower than a 30-year fixed. Even though rates are tightening now, be thankful. It could be right before Halloween in 1981.